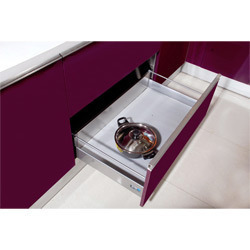 We provide extensive range of Cutlery Pan Drawers which are in great demand nowadays. 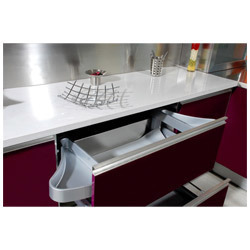 It comprises of multiple drawers for the purpose of storing cutlery items. It consists of a smooth finish and excellent shine on its surface. It is available at an affordable price. It is easy to handle and requires low maintenance. 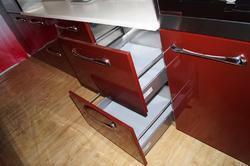 We present our buyers an extensive range of Pan Drawers. Our product range can be obtained in a wide variety of designs, sizes and color shades, and is manufactured by our creative and skilled craftsmen. These Pan Drawers are presented with many drawers for keeping numerous articles. Looking for Pan Drawers ?